WHEN: Tuesday, December 1, at approximately 12 noon. 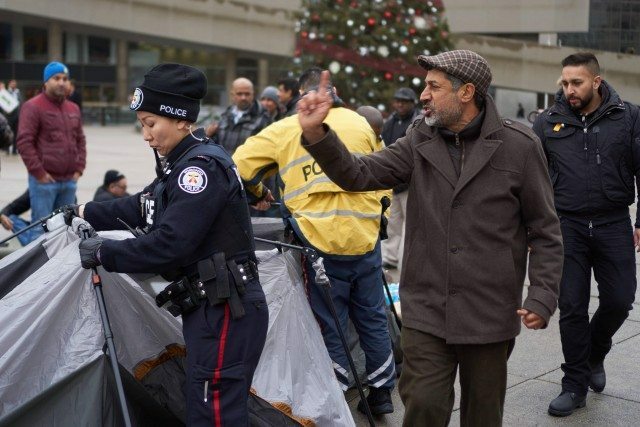 WHAT: This afternoon, police officers dismantled a tent that was set up by a cohort of Toronto taxi drivers in front of City Hall. The tent, part of a hunger strike against rideshare app UberX, was dubbed “Uber tent,” by one protesting driver and removed due to its violation of city bylaws governing the public square. The Toronto taxi industry is hoping the city will seek an injunction against UberX to cease its operations.